The atmosphere is tense as the swimmers take their places on the plunge boards. The shrill whistle is the only sound heard in the OCBC Aquatic Centre. And then the crowds erupt in cheers and chants as the swimmers hit the water. 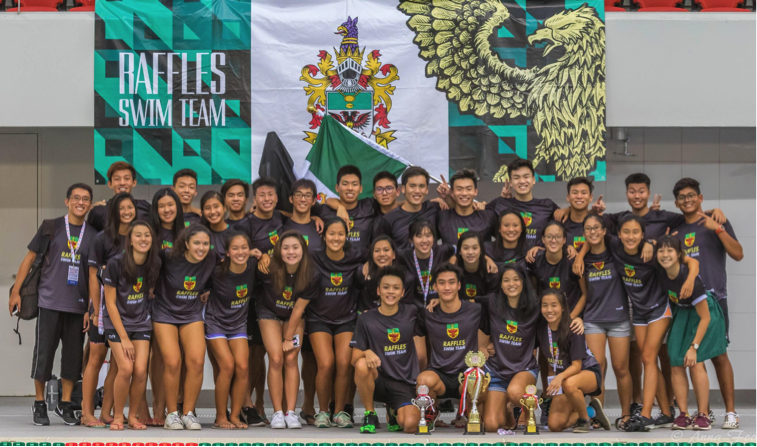 Over the five days of competition, from April 17 to 25, this scenario was played over and over again, as the Raffles swimmers pitched their skills and speed against competitors from other junior colleges. The meet kicked off on Monday with a series of gruelling long-distance events — 1500m freestyle for the boys and 800m freestyle for the girls. Our RI girls performed a hat-trick, sweeping 1st, 2nd and 3rd positions in the inaugural 800m race. 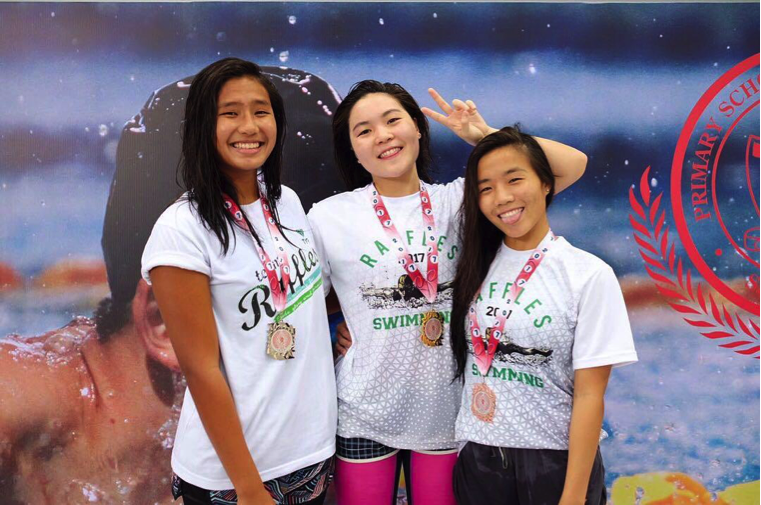 This impressive feat was repeated in the 200m freestyle race as all three RI girls fielded in the event managed a podium finish. The girls’ team continued their strong showing throughout the week and ended up with a whopping 8 golds, 10 silvers, and 7 bronzes. Ng Yu Xin (18S03D), in particular, deserves special mention for her resilience throughout the competition season. Despite fracturing her finger mere weeks before the meet, she remained undeterred and continued to train as hard as she could in the lead-up to the competition. And though her finger was still in a splint when race-day came, she managed to clinch an impressive 2nd and 4th place in the 50m and 100m breaststroke respectively and, also swam the breaststroke leg of the medley relay. 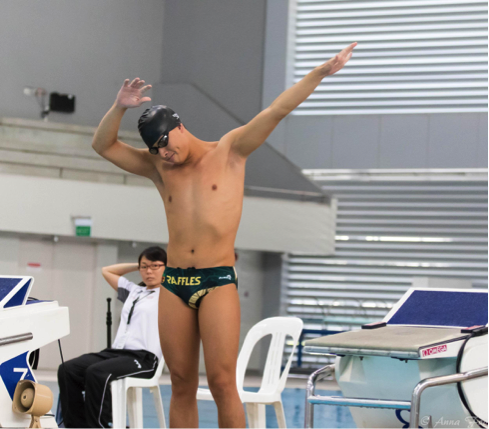 In the boys’ team, Samuel Khoo (17S06H) not only won both the 50m and 100m breaststroke races, his stellar performances also resulted in two new meet records. Adam Tan (18S03E), who was runner-up after Samuel in the 100m breaststroke event, also clinched a silver in the 100m breaststroke, while teammate Ethan Ong (17S06Q) went on to win the 50m backstroke and place second for the 200m backstroke. Daniel Ang gamely swam the 200m butterfly event against a field of other Joseph Schooling-wannabes. Emerging in fourth-place, the water polo-player turned swimmer won the crowd’s admiration for his effort in the notoriously painful race. 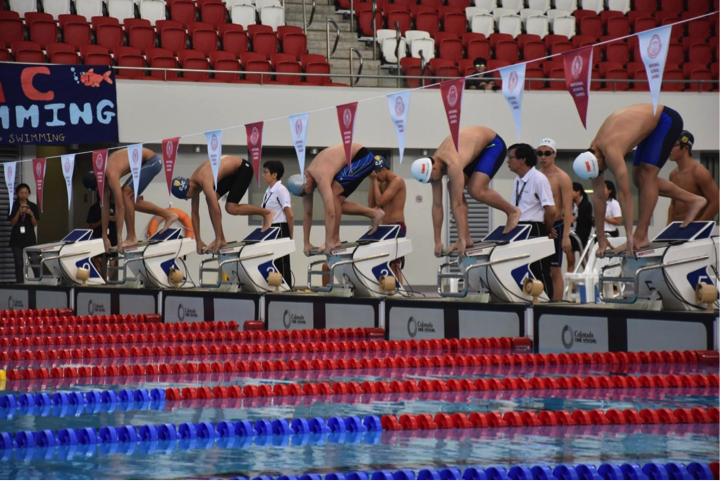 The finale was reserved for the most exciting and important events of the competition, the freestyle relay races. This was the race the crowds had been waiting for, and by the time they announced the teams, the whole stadium was on its feet. The RI girls’ relay team started strong and their lead extended with every subsequent swimmer, leaving their competition in their wake. They were shy of the meet record by mere milliseconds. The RI boys put up a valiant effort against favourites Anglo-Chinese School (Independent), and beat off the Singapore Sports School to clinch second place. At last it was the end of an exhilarating and exhausting season. The girls’ team had fought to defend their long-held (12 years) championship title, an effort which more than paid off when they ended their last race with 226.5 points, more than double the points of runner-up ACSI with a total of 93 points. The boys’ team, too, put up a strong fight to finish with 156 points at second place, against long-time rival ACSI which topped the score chart at 247 points. 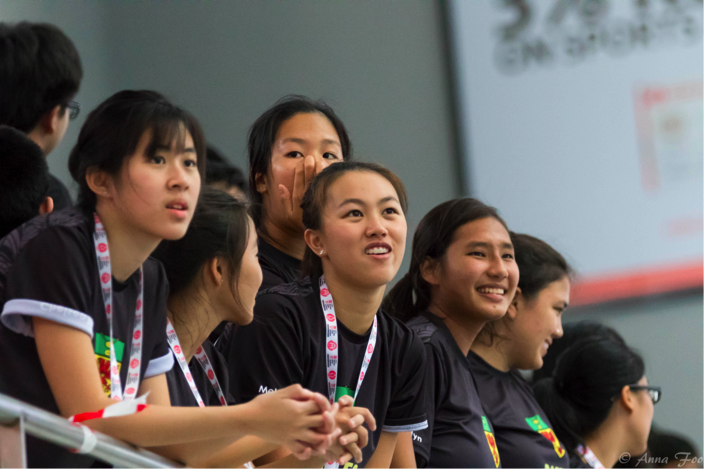 Both the RI Girls’ Team Captain Valerie Ho (17S06H) and the Boys’ Team Captain Bryan Goh (17S06J) agreed that they were extremely happy with the results. As Valerie put it: “We’re really proud of the swim team. Each and every member of the team gave their all to this sport and put up a good fight during the competition.” These stellar results were truly a culmination of many months of tireless training– hopefully the team will be able to get some rest before plunging back into the pool to prepare for the next season.